I’m in business, the hard nosed commercial world, where, project delivery is key. In the business world if we don’t deliver for the health of the business then we don’t earn salary, benefit or rewards. In business we are about good corporate governance, conflict deconstruct, capacity building with all stakeholders, creating end to end agreements & most importantly delivering a result in an ethical manner (I’m an Ethical Trader). I watched Arlene Foster, former First Minister of Northern Ireland & Michelle O’Neill, leader of Sinn Fein in Northern Ireland tussle in debate at the Tory Party Conference on whether Northern Ireland is British, Irish or as many observers conclude an “utter basket case”. This should have been an opportunity for political leaders to show case Northern Ireland / the North / the 6 counties / Our Wee Country or whatever nom de guerre you choose to call this north-easterly region of the Island of Ireland. Both ladies displayed outward signs of intransigence and did nothing positive to capacity build or show case here. 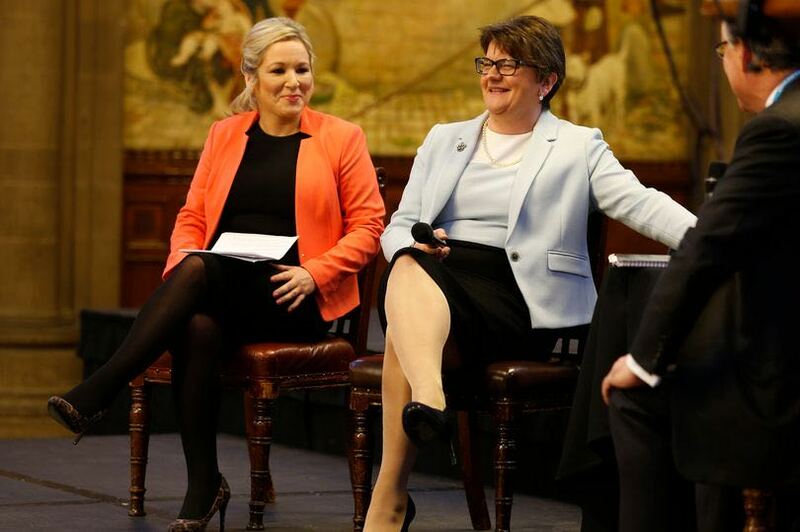 Given Arlene’s opposition to the Belfast Agreement (GFA) & reality she abandoned UUP colleagues regarding its implementation, I must admit to having a huge irony alert going like a klaxon in my head, as she cited the Good Friday Agreement as the foundation stone for the Constitutional & Democratic framework here. However – she is correct. Michelle’s reaction to the mere mention of “British” as a descript for here gave a glimpse into how some in the Republican movement detest the mere mention of the term. In 2017, being part of the UK is a political & constitutional reality, for now. In the last census more people declared themselves Irish & Northern Irish than British which is also a growing reality. In my humble opinion that Census statistic should give justification for a border poll on maintaining the Union but whether it happens this year or in 5 years, it doesn’t really matter. Why it doesn’t matter is this: being British is a personal perception. Any of the 1.811 million people here can perceive himself/herself to be British, Irish or both, indeed some choose neither and opt for Northern Irish. Any of the 1.811 million people can perceive & lawfully choose to be a British Citizen, an Irish Citizen or both. Therefore I would appeal to Arlene & Michelle to stop the divisive sabre rattling. Stop grandstanding to your own voters which together are less than 49% of the electorate here, and less than 25% of the population here! Get back to good governance for all, capacity building & creating political delivery that the population of here craves – whether they perceive themselves British, Irish or other! October 4, 2017 in News & Current Affairs. Too many people fail to appreciate, the UN has the United Kingdom state registered as the legal entity with jurisdiction over this NI statelet. The term ‘British state’ is a non-legal fiction and, obviously, the ‘British’ people of Great don’t own the NI state. Technically, Michelle was correct due to both the above and the fact that NI isn’t part of Great Britain. Furthermore, the day before partition all on the island of Ireland were Irish and the only change the following day was that those in the South broke free of Westminster colonial rule.